What is bounce rate? Do you know your bounce rate? You guessed it: it has nothing to do with basket ball! Here are some tips about how to decrease your bounce rate. The bounce rate is the percentage of internet-users that immediately leave your website without viewing any other page. What is a good bounce rate in Google Analytics? It is easy to understand that a bounce rate should be the lowest possible. Because the lower it is, the more it means that your visitors like your website and want to browse your pages. How do I check my bounce rate? 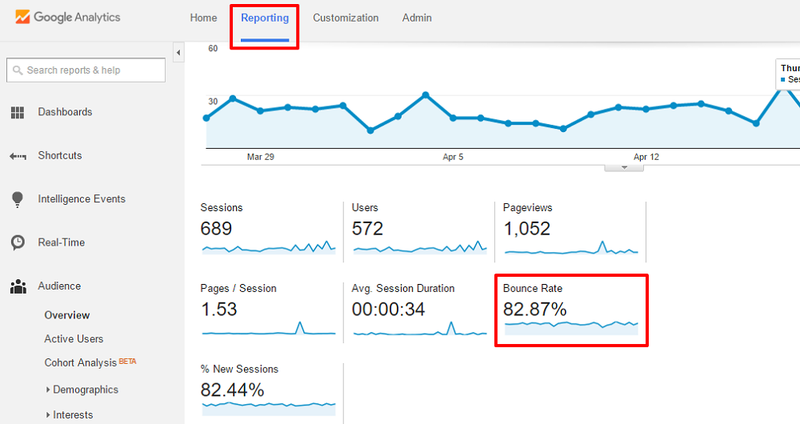 You can check your bounce rate by going to Google Analytics. With SiteW, it is easy to use Google tools, feel free to read our guide: Install Google Analytics. Why should I improve my bounce rate? To offer a better user experience. Your bounce rate is determining: it means either that your visitors love your website (low bounce rate) or that they dislike it (high bounce rate). In the first case, just go on that way ! In the second case, you certainly should bring some improvements to your website! To improve your SEO: Google algorithm takes your bounce rate into consideration. Because as we just saw it, it is a good indicator of your visitors’ satisfaction. This is a good reason to try to get the best rate possible. How to improve your bounce rate? Design: a website with an old or ugly design won’t encourage visitors to stay. User-friendliness: This is an important part of bounce rate improvement. You have to keep in mind that when visitors come to your website, they have very specific needs, questions or requests. That’s why your website must be clear and it must be easy to browse (for example you’d rather use a simple, user-friendly menu) The loading speed is also important: don’t overload your pages with images and make sure not to have too long pages. SEO: The internet-users that come to your website via Google should be able to find a connection between your website and their request. The keywords you use are thus very important. There must be a link between your website content and the search terms used by the internet users to find your website. Content quality: it may seem obvious but the more engaging your content is, the more your visitors will want to stay on your website. Decrease the number of external links and ads. It is interesting to add relevant links if it is necessary. Remember nevertheless that visitors that click on these links will de facto leave your website. A very high bounce rate is not necessarily negative: the internet users may have found the answer to their question right on the first page. For more details, you can compare this figure to the time spent on the page or to the bounce rate of the various pages. To conclude, you can work on different levels to decrease your bounce rate. Be methodical and relentless and you’ll get amazing results.